Sand is widely used in many fields, such as construction, roads, concrete and so on. Its raw materials are mainly pebbles, river gravel, limestone, granite, finished product can be used directly. Some industry has high requirements to the sand, it need washed and screened dust, dirt. Which is not problem to Liming Sand production line. 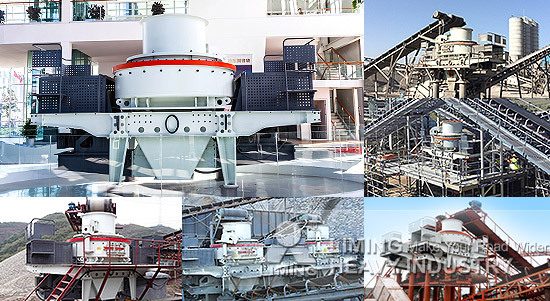 Liming Heavy Industry produced powerful 5X sand making machine, which can process a variety of hard materials, parts made of high wear-resistant material that can guarantee production. For discharging sand, 5X sand making machine can control precisely, 0-3mm fine sand, 3-5mm sand, 5-10mm rough sand etc., also can be adjusted according to the customer's production requirements. We will work out the appropriate production line process equipment according to the actual production requirements and give a quotion. If you need to know more, please click on the online customer service for advice. <<Previous：What’s the most suitable crushers for crushing pebbles?